With the current way of doing things, it’s a no-brainer that scrub replacement costs are never going to decrease. On top of that, your staff will always be complaining about not being able to find their sizes, and precious OR time will continue to be lost. What if we told you that we have a product that saves you up to 90% of your annual scrub replacement costs and up to 40% off your laundering costs, while eliminating all of your headaches with scrubs? The secret to reducing scrubs replacement costs is controlling the point of distribution. Let me guess. 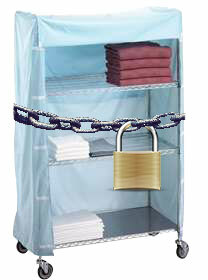 Right now, your operating room or change rooms have a cart, with a bunch of scrubs all piled up? With scrubEx, access to the scrubs is restricted to authorized users only. Each user is set up in the scrubEx software with their preferred size. The user accesses their scrubs by scanning their existing hospital ID badge. Every time the user takes a pair of scrubs out, they get one credit taken off the predetermined number of credits. For example, if they have three credits to start, taking one pair of scrubs out will leave them with two. Every time a user returns the scrubs they took out, the credit is put back. At that point they no longer can get out a scrub, until they return a pair, or a super-user overrides the system to get them a scrub. We’ve got you covered (excuse the pun! )… for every returning scrub set a high-definition camera snaps a picture of each returned piece as it falls into the machine. How much is having happy staff worth to you? Surgical operations are complex. And time-sensitive. And costly. And so on and so on. The last thing you need is staff distracted by the infamous problematic problem of not being able to find their scrub size. No more searching through the cart of scrubs stacked all over the place. No more staff wearing mismatched scrubs (wrong size) because they couldn’t find the right one. No more scrubs returning because they fell on the floor and then need reprocessing (even though they didn’t get used). No more staff hoarding scrubs when they are able to get their size. No more getting in a bad mood before an important surgery because you had a scrub issue when starting your day! scrubEx solves all of these problems and more. Each staff member gets the size they want when they want. Your materials or supply people have real-time analysis of scrubs levels. Alerts are sent to them when levels get low. Running low on small tops? No problem. Get notified and restock small tops in a matter of minutes without being prompted by a frustrated surgeon. How much is having efficient staff worth to you? 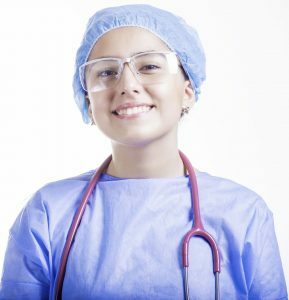 If you want to take this a step further, the next time your staff need to prepare for a surgery, ask them to time how long it takes to find their scrubs. You could even time the whole lot of them as a team. Let’s say that it takes, on a favourable average, 30 seconds for each member to find their scrubs. To round out the numbers, let’s say there’s twenty staff. That’s ten minutes! scrubEx, on the other hand, takes 2.14 seconds to dispense. That’s 42.8 seconds! Imagine now that you add in a few people who can’t find their size, or decide to tidy the cart up, and that favourable 30 seconds turns into 2 minutes for each of them. How much is it worth to be certain everyone in scrubs got a fresh pair that day? Because the scrubs are locked away in the dispensing machine after getting back from the cleaners, you know where they came from and that they were sanitary. No scrubs fall victim to getting soiled by falling on the floor or being kept in lockers where unsanitary items may reside. On average, how many vendors visit your hospital every week? Vendors that come in with their own scrubs create a potential infection risk. You don’t know where they’ve been. Maybe they’ve been wearing those scrubs without washing them for days. Or maybe they just used them at a previous hospital before visiting yours. Who knows, maybe their car is full of dog hair. The point is you don’t know. And that goes for students and any other non-regular hospital visitors too. With scrubEx, you can set them up in the system, so that they have no choice but to abide by the infection prevention rules your hospital sets. Alternatively, you could go with a specialized dispenser called vendEx, which is specific to vendors. Giving a perk for your people only! Maybe a lot of your scrubs are past their prime? Installing scrubEx could be a great opportunity to get all new sets and set your department on the map with maybe a new color? That nurse in diagnostic imaging and the ward clerk in 3 West won’t be able take them from you now!! We know that whenever anyone is presented with a new concept, it’s a little difficult to fully understand how it’ll affect you, especially when your current system has been unchanged for decades. Most of the time, human nature tells us to fear what we don’t understand. But when you have a proven solution that not only saves you a lot of money, but also takes away your headaches, the only thing to fear is fear itself (a little cliché, yes). Trust us, this is a bit of a process to implement scrubEx. But virtually every single hospital that does this stays with it. There aren’t really any examples out there of facilities it hasn’t worked for. If implemented properly and managed correctly going forward, this is long-term win-win. Seize the moment! Talk to us about your scrubs concerns. Let explore what we can do together.